We write best next to excellent models of craft. Analyze passages from the books you’re already talking about as models of sensory details, voice, dialogue, sentence structure variety and rhythm. We will look at writing in fiction and non-fiction to plan for engaging practice that leads writers to craft with intention, voice, and increasing skill. Digital ideas included....I'll show you how using digital tools will engage even my most reluctant learners with the process of writing across the school year. This work leads to products on the screen and on the page that are organized better and to writing feedback groups that hum with energy. Analyze the writing craft of poetry, narrative, research, and essays in order to understand the structure, the pace, and the development of ideas. Create lessons which empower students to analyze the craft of writing across genres. Design assessments to measure student understanding of the ability to name the writing craft moves of authors. Analyze the composition of digital texts and create an understanding of their role in the English Language Arts classroom. Teachers of 6th–12th grades, Reading Specialists, and literacy and instructional leaders, such as coaches, principals, and directors of curriculum and instruction. Early Bird Discount: $25 discount if registered before Friday, October 12, 2018. Team Discount: $25 discount per person for teams of at least 3 participants registered from the same district / school / organization. * Principals’ registration fee is just $50 (cannot be combined with discounts) if attending with a team of at least 4 staff members. * The CESA 6 administration has changed the policy for workshop / event payment beginning with this 2018-2019 school year. A purchase order (PO) is required in order for CESA 6 to invoice the school district. CESA 6 will also accept payment via check, ACH transfer, or credit card. CESA 6 block rate = $85 for November 27th reservation. CESA 6 block closes on November 9, 2018. Penny Kittle teaches freshman composition at Plymouth State University in New Hampshire. She was a teacher and literacy coach in public schools for 34 years, 21 of those spent at Kennett High School in North Conway. She is the co-author of 180 Days with Kelly Gallagher, and is the author of Book Love, and Write Beside Them, which won the James Britton award. She also co-authored two books with her mentor, Don Graves, and co-edited (with Tom Newkirk) a collection of Graves’ work, Children Want to Write. She is the president of the Book Love Foundation and was given the Exemplary Leader Award from NCTE’s Conference on English Leadership. In the summer Penny teaches graduate students at the University of New Hampshire Literacy Institutes. Throughout the year, she travels across the U.S. and Canada (and once in awhile quite a bit farther) speaking to teachers about empowering students through independence in literacy. She believes in curiosity, engagement, and deep thinking in schools for both students and their teachers. Penny believes that intentional teaching in a reading and writing workshop brings the greatest student investment and learning in a classroom. 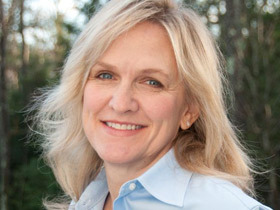 Learn more about Penny Kittle on her websites, pennykittle.net and booklovefoundation.org, or follow her on twitter.